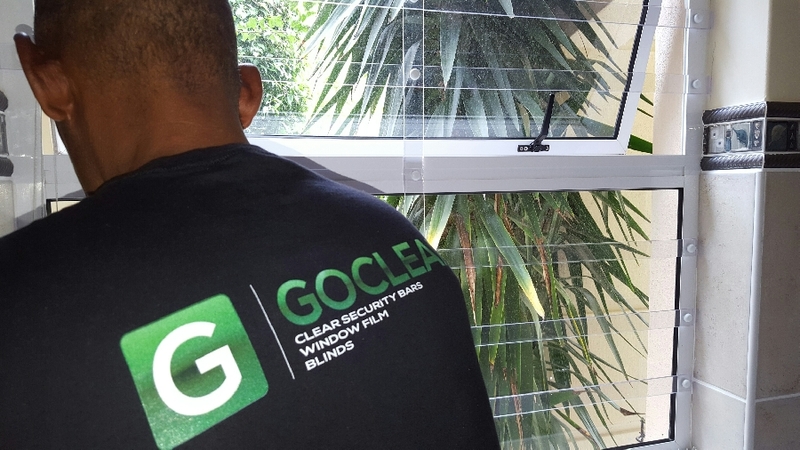 Goclear is based in Hermanus and specialises in Clear View Security Bars (Clear Burglar Bars), and we offer a Ten Year Warranty on weathering. 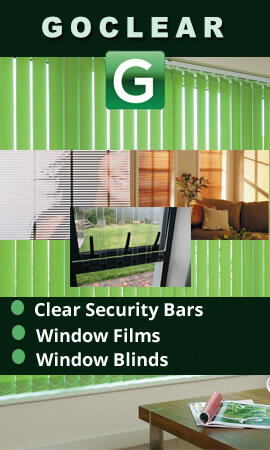 Our other products include Window Blinds, Window Film/Tinting, Lock Latches and Blockhouse Security Shutters. We operate along the East Coast, covering Gansbaai, Hermanus, Sandbaai, Onrus, Caledon, Betties Bay and Kleinmond. At Goclear Security Bars we understand your time is precious so we make sure we always arrive on time. We believe our image must be representative of the professional service we provide. Our fleet consists of premium vehicles, professionally branded and our staff wear branded clothing, making them easily identifiable wherever we operate. We don’t render our services just for the money, we render to impress you with good work, quality service and professionalism. That’s what Goclear offers, and you will see from our references on our home page that we walk the talk. We pride ourselves with fully screened and trained employees who endeavour to supply a professional installation in your home. Go Clear Burglar bars only employs skilled people with valid RSA ID, and without any prior convictions or criminal records. Goclear ensures your complete safety and peace of mind when allowing us into your home or office.